Opening hours may be modified as seasonal demands dictate. These hours are communicated via dealer updates. 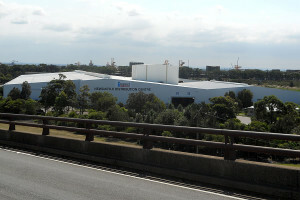 Impact Fertilisers Kooragang warehouse is located on a 12.8 hectare site in the established industrial area on the eastern foreshore of Kooragang Island. The sites primary function is the storage handling and despatch of fertiliser products. Ammonium Nitrate is not stored or handled by Impact Fertilisers. Comprehensive management systems are in place at our site to ensure that our operations are safe and do not affect the local community. In the unlikely event of an emergency, people affected need to be aware of steps they can take to ensure their safety. Our emergency response plan sets out how we act in the event of an emergency. It includes how to respond in the event of local, onsite and off-site emergencies. The plan is shared with regulators and emergency services and is updated whenever new information becomes available. A copy of the full site emergency response plan is available upon request by contacting the above community enquiries number.